ICT Essentials offers an innovative licensing scheme in which each student has a “license” that is valid for accessing the exams in all 10 ICT Essentials for an entire school year. License agreements are issued on a school or district-wide basis for a specific number of students. Teachers in the school or district are granted access to all instructional materials for all 10 ICT Essentials courses. The license agreement stipulates the number of students who are permitted to access the formative and summative exams. Students are granted access to the exams for all 10 courses for one full year. With a single student license, a student can benefit from multiple classes where multiple ICT Essentials courses are implemented. The license follows the student within the district, regardless of classes or schools. Volume pricing for a district-wide program maximizes coverage and flexibility for students and teachers alike. 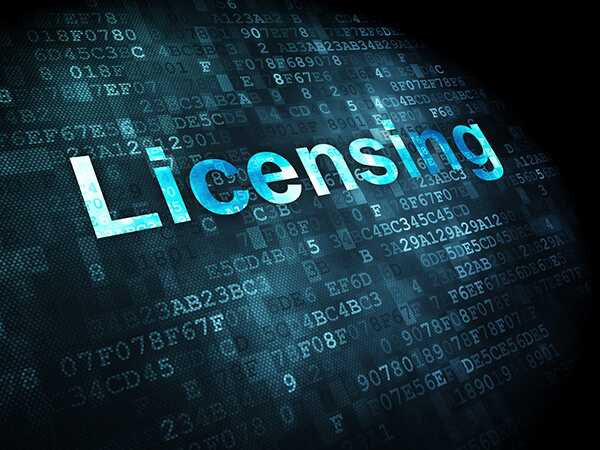 Unused licenses carry forward to the subsequent year providing the license agreement is renewed. For specific pricing information based on your school or district needs, contact the Certification Partners sales staff or Customer Service. Although ICT Essentials focuses on students acquiring technology skills, it applies to all students enrolled in academic and/or career courses of instruction. Funding to implement and support ICT Essentials is not limited to the use of Carl Perkins’ Career and Technical Education grant funding, nor to the use of Title I funding. One of the most significant aspects of the ICT Essentials Suite that sets it apart from other products for teaching students about technology is that it is designed for teachers to improve student achievement by infusing technology into their pedagogy, doing so in the context of their academic or career subject areas. In essence, ICT Essentials instructional materials become a tool the teacher uses to improve the quality of instruction and achieve deeper levels of understanding by students of both the technology and the subject matter content. This fundamental difference makes the ICT Essentials Suite align perfectly with the goals and requirements of the Elementary and Secondary Education Act (ESEA), Title II, Parts A and D. Below are excerpts from Title II and highlights as to how ICT Essentials can be supportive in a district’s effort to be successful. The primary goal of Part A is to increase student academic achievement through strategies such as improving teacher and principal quality and increasing the number of highly qualified teachers in the classroom and highly qualified principals and assistant principals in schools. ICT Essentials is designed for use by teachers to improve student achievement by improving teacher quality, primarily through improved teaching practices and methodologies using technology and project-based learning. It is a blended solution of Title II, Parts A and D.
“RH.3.7 – Integrate visual information (e.g., in charts, graphs, photographs, videos, or maps) with other information in print and digital texts.” This CCSS standard appears in 45 Florida middle school courses. “WHST.2.6 – Use technology, including the Internet, to produce and publish writing and present the relationships between information and ideas clearly and efficiently.” This CCSS standard appears in 89 Florida middle school courses. ICT Essentials employs project-based learning strategies for more engaging and deeper learning experiences by students. ICT Essentials formative exams provides teachers with data for documenting student learning gains and for adjusting teaching pedagogy based on individual student performance. Multi-level activities enable differentiated instruction strategies for engaging all students. Infusion of technology is limited only by creativity of the teacher and the student. Teacher customizes activities for their subject area. Teachers are able to scale activities to appropriate grade and readiness level. Professional development perfectly aligned with Title II, PART A. One of the purposes of Part D is to promote initiatives that provide school teachers, principals, and administrators with the capacity to integrate technology effectively into curricula and instruction that are aligned with challenging State academic content and student academic achievement standards, through such means as high-quality professional development programs. (B) To encourage the effective integration of technology resources and systems with teacher training and curriculum development to establish research-based instructional methods that can be widely implemented as best practices by State educational agencies and local educational agencies. Title II mandates access to technology; Professional development provided with ICT Essentials enables teachers to maximize its use. By integrating into existing teaching content, ICT instructional materials are scaled by the teacher to the appropriate grade and individual student readiness levels. ICT formative exams provide a means of assessing student progress, highlighting specific areas that may require remediation. ICT qualifying exams (summative) provide a quantitative measure of student technology literacy achievement for the associated technology. Districts have the option and flexibility to define which and how many of the 10 ICT Essentials courses constitute technology literacy for their students. Variations in ICT Essentials courses provide multiple alternatives to enable teachers to reach virtually all students. E-10. May LEAs use Title II, Part A funds to purchase supplies or instructional materials that are used as part of professional development activities? Yes, but only if the expenditures, like any costs paid for by Federal program funds, are reasonable and necessary to carry out these activities. Title II, Part A funds may be used to purchase materials and supplies used in professional development activities, including the materials (such as graphing calculators) that a teacher will need in order to apply the professional development in a classroom setting. However, Title II, Part A does not permit the use of program funds to purchase materials and supplies (e.g., graphing calculators) that, although they may benefit students, are not directly connected to the teachers’ professional development. Other ESEA funds, most notably Title V, Part A funds, may be used to purchase instructional materials or technology for students if the purchases are part of an “innovative assistance program” as this term is used in Title V.